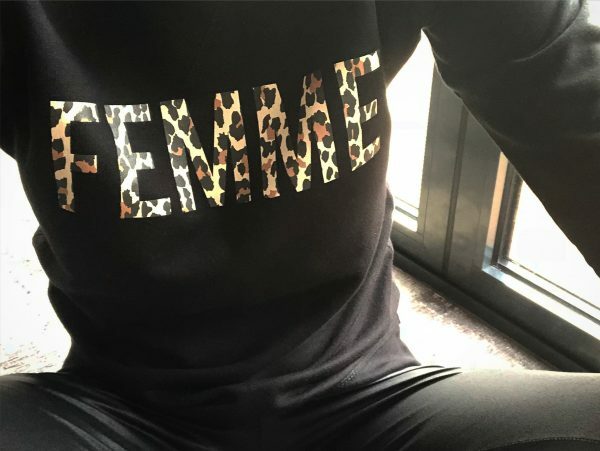 Our organic female sweaters come complete with leopard print slogan FEMME. Soft, washable and so versatile. 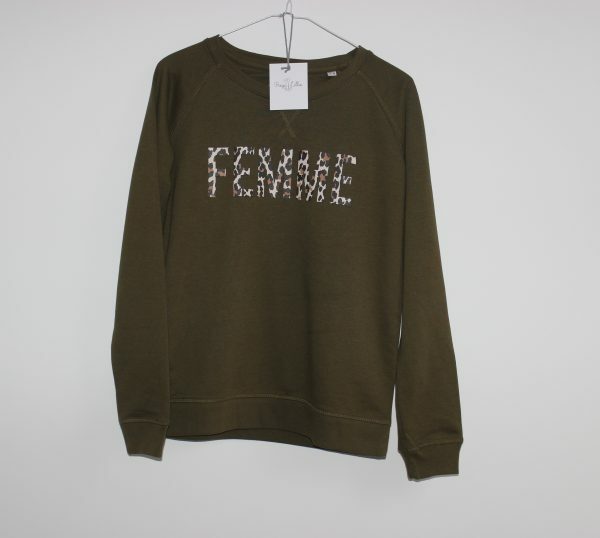 Pair with jeans, tuck into a skirt or add a heel for a little glam. Delivery information – These are in stock items, however size large is now on back order and will be dispatched in approx 2 weeks. 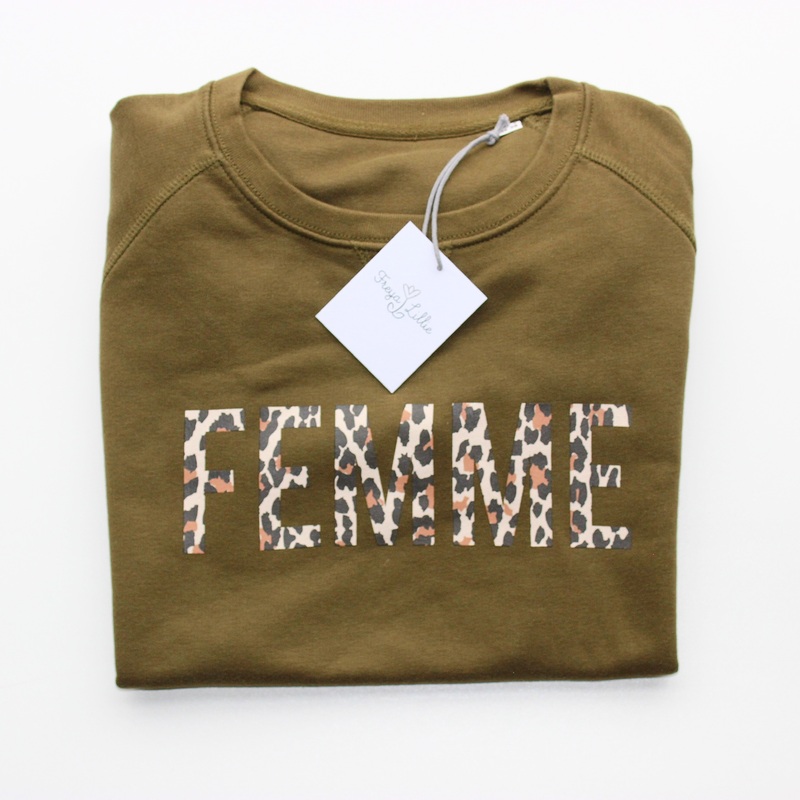 Sizing – These are a fitted sweater, size up if you prefer a loose fit.